Based on existing CMW500 radiocommunication testers, the R&S CMWflexx test platform can support applications with aggregation of up to 8 combined carriers. 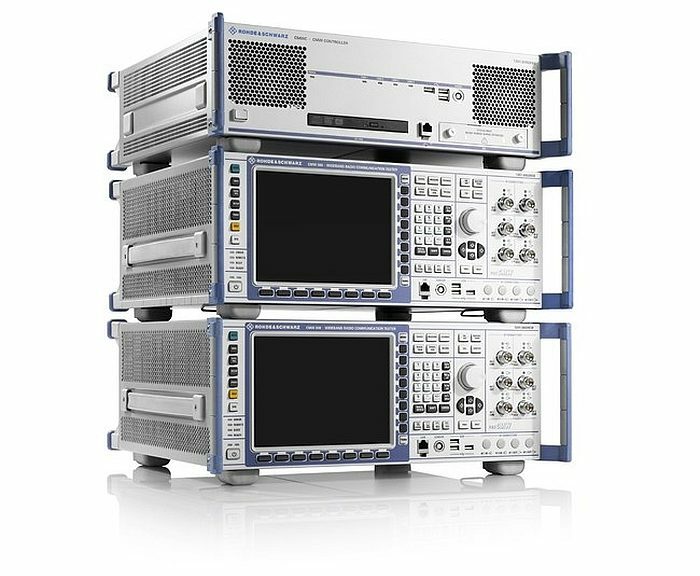 This flexible and configurable solution from Rohde & Schwarz ensures the testing of mobile devices according to the specifications of versions 8 to 15 of 3GPP. 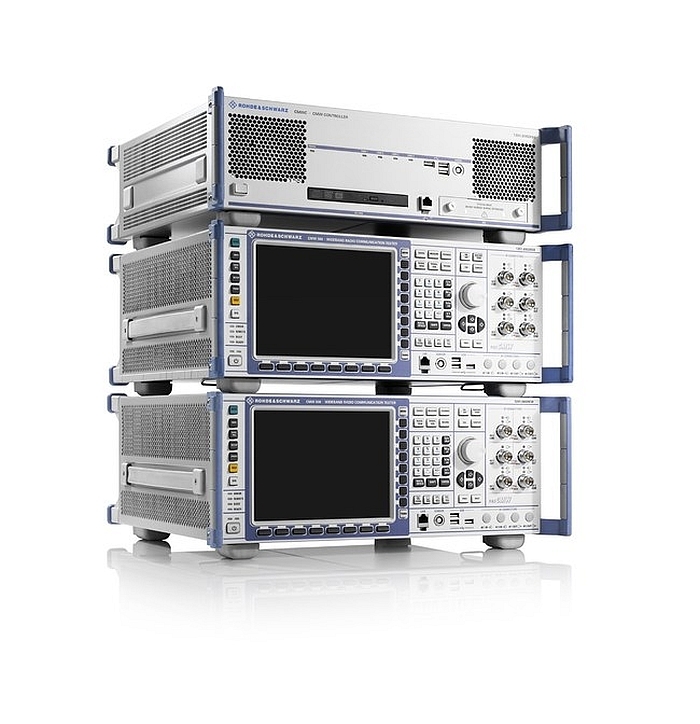 Building on existing R&S CMW500 testers, the R&S CMWflexx offers the necessary flexibility, both in terms of technologies and supported test applications, for the design and validation of mobile devices communicating over future 5G communication networks. This platform supports carrier aggregation (8CC), 4×4 and 8×4 MIMO configurations, complex 256QAM modulation, unlicensed spectrum (LAA), etc. The R&S CMWflexx platform typically consists of two, three or four R&S CMW500 testers and one R&S CMW controller (R&S CMWC) to allow MIMO carrier aggregation configurations with up to 32 individual streams. The use of existing R&S CMW500 testers facilitates the evolution to a CMWflexx R&S platform.” The R&S CMWflexx allows customers to take advantage of the equipment they own, and also allows them to leverage their investment to support 3GPP version 15 LTE features and an upgrade to the 5G NR NSA,” said Anton Messmer, vice president of mobile radio testers at Rohde & Schwarz.